Eat E-Z Digest Ultra is a powerful vegetarian digestive enzyme supplement that replenishes our bodies with enzymes that are naturally produced in the stomach, pancreas, and salivary glands. One of the strongest digestive formulas on the market, Eat E-Z Ultra is made even more potent with the addition of cofactor minerals and vitamins. Eat E-Z Ultra is free of pesticides, chemicals, preservatives, animal derivatives, yeast, fish or shellfish, peanuts, and tree nuts. 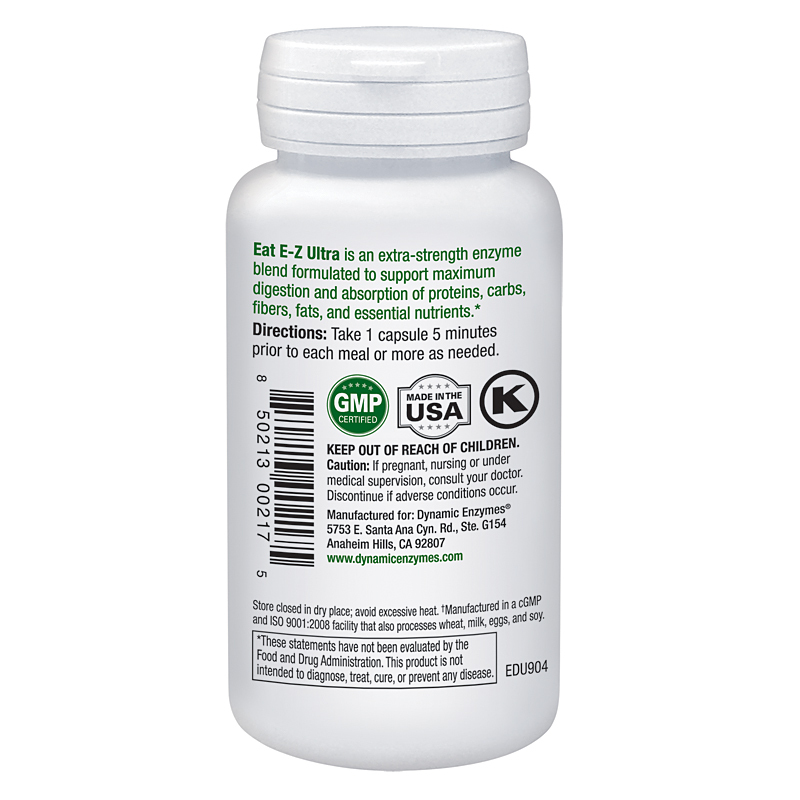 All individual enzymes are kosher-certified ingredients, and suitable for vegetarians and vegans. 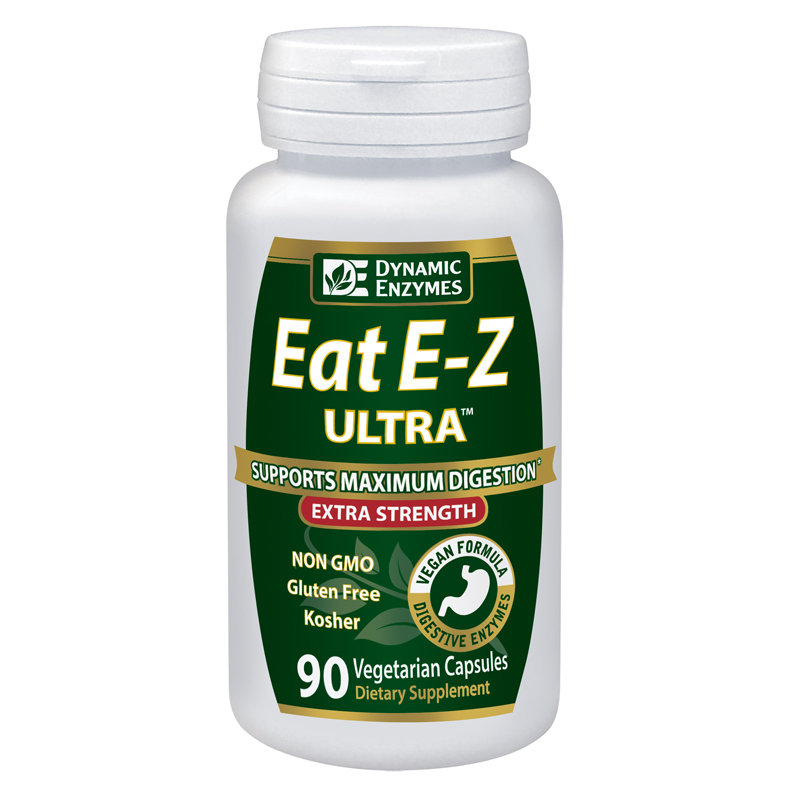 Eat E-Z Ultra is a more potent sibling of our regular strength Eat E-Z, and is recommended for those who need the maximum level of digestion assistance. If our body is not producing enough enzymes to properly breakdown food, we can introduce it in the form of a digestive enzyme supplement. 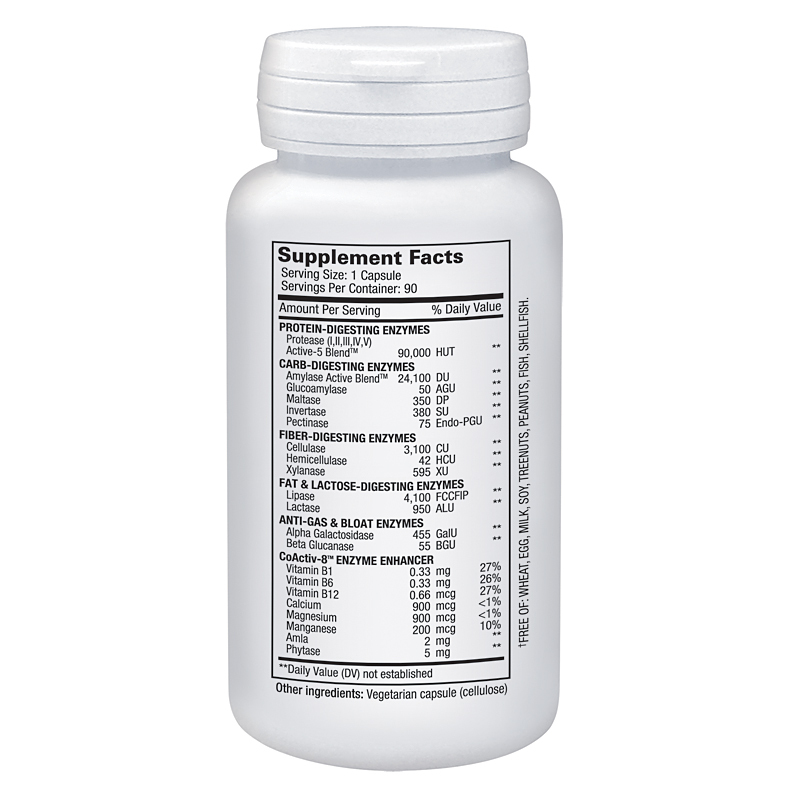 One of the most potent digestive enzyme supplements available, Eat E-Z Ultra supplements the body’s natural enzyme production with all of the enzymes it needs to break down every type of food we consume. All these enzymes are included in the product to work synergistically to support digestion and the gastrointestinal tract. Making sure our body has an adequate supply of digestive enzymes promotes relief from food intolerances, ideal digestion, and optimal nutrient absorption. 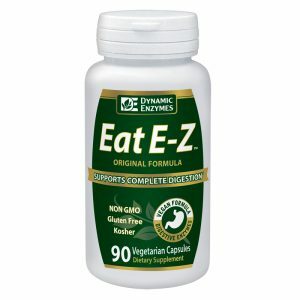 One of the most potent formulas on the market, Eat-EZ is uniquely packed with powerful enzymes, coenzymes and cofactors to promote enzyme activity. It is manufactured in a ISO 9001:2000 and GMP certified facilities, and undergoes rigorous quality testing. In addition, Dynamic Enzymes’ signature CoActiv8 enzyme enhancer ensures all of our enzymes and probiotics work to their fullest potential. Where can I find Eat E-Z ULTRA?